AS SHOWN The Gräshoppa Table Lamp with brass base and jet black shade makes a wonderful desk lamp. 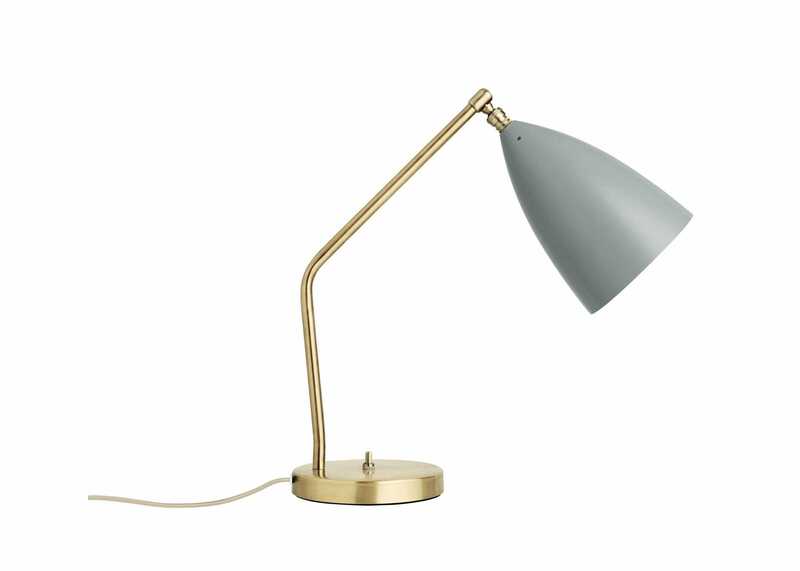 This Grashoppa table lamp features a sophisticated yet playful design. The distinctive, elongated conical shade is beautifully combined with a tubular brass stand, a great example of Grossman’s whimsical design language, that is both organic and modern. Material: Aluminium shade, moveable brass joint, powder-coated diffuser.